Breaking news for URBAN AG! We are thrilled to announce that the urban agriculture amendment to the Atlanta zoning code is scheduled to begin the NPU (Neighborhood Planning Unit) process on Monday, March 24. We need YOUR involvement to ensure that the NPUs hear how important urban agriculture is to our communities! 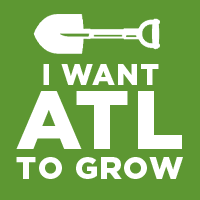 Check the Go Grow Atlanta website for background information, updates, f requently asked questions, ways to get involved, and more! Attend your NPU meeting. Below is a list of the first week’s NPU meetings, so you can check to see if your neighborhood is listed! Please check the Go Grow Atlanta website for details and the full list of NPU meetings. Share this email with friends and neighbors who can also speak up to support urban ag!